I don’t know why I took so long to visit Thailand; maybe it’s because I was hung up on Brasil for nearly two decades. But it’s probably a good thing. 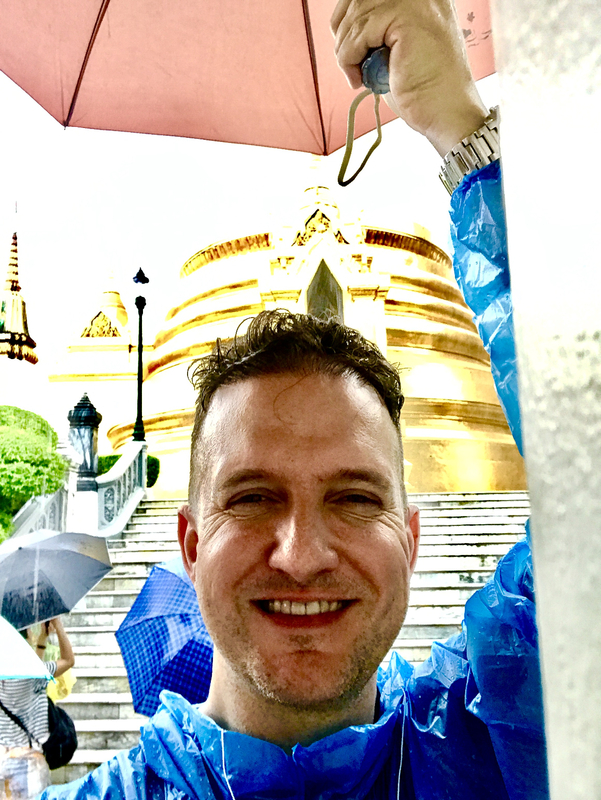 Me in my 20s, in Thailand? That would’ve been dangerous. 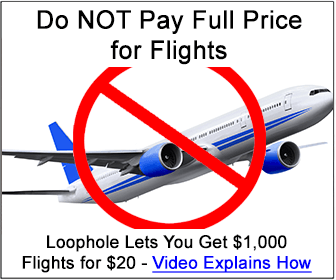 There are too many ways a young man can get in trouble here…for cheap! 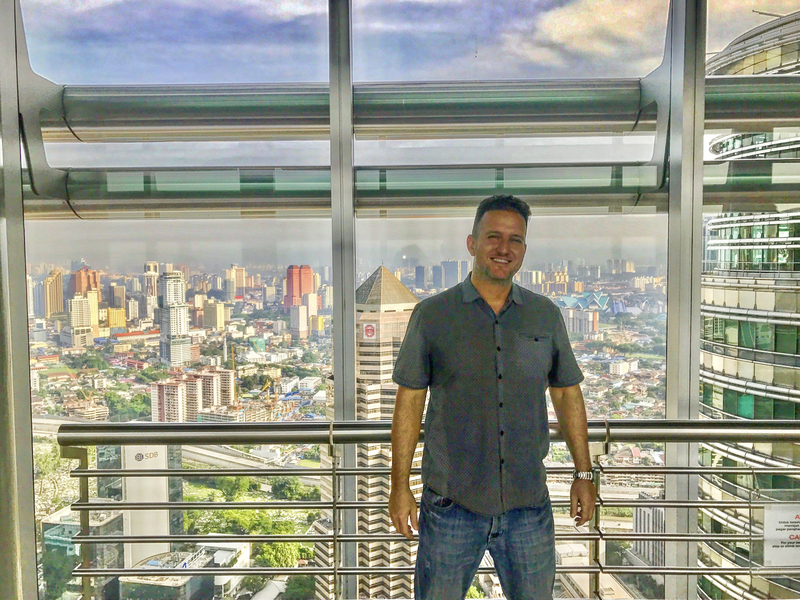 I had a great flight into Bangkok to mark off country #83. I once again used airline miles for the trip, flying business class the whole way. 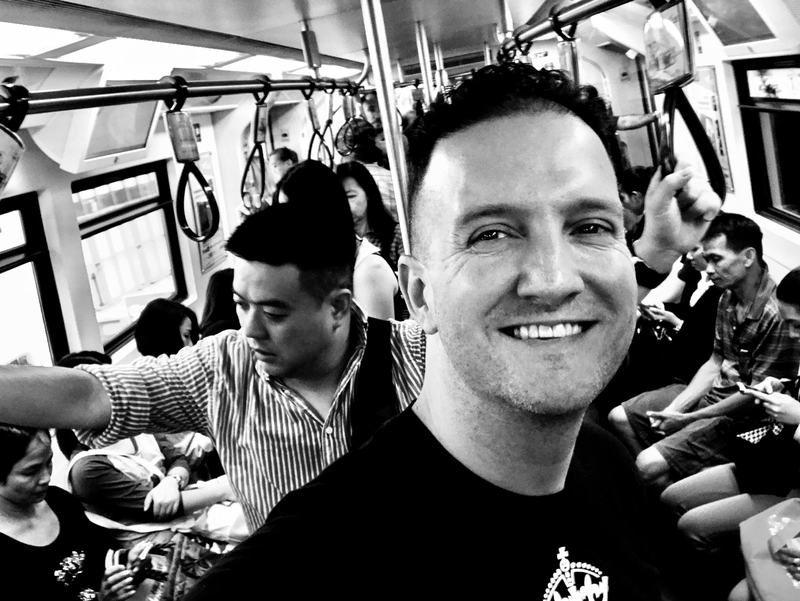 Delta got me to Seoul, then Korean Air for the final leg into Bangkok. I’d left San Diego at 8AM on Wednesday morning and was unpacking at my hotel by 10:30PM Friday night. 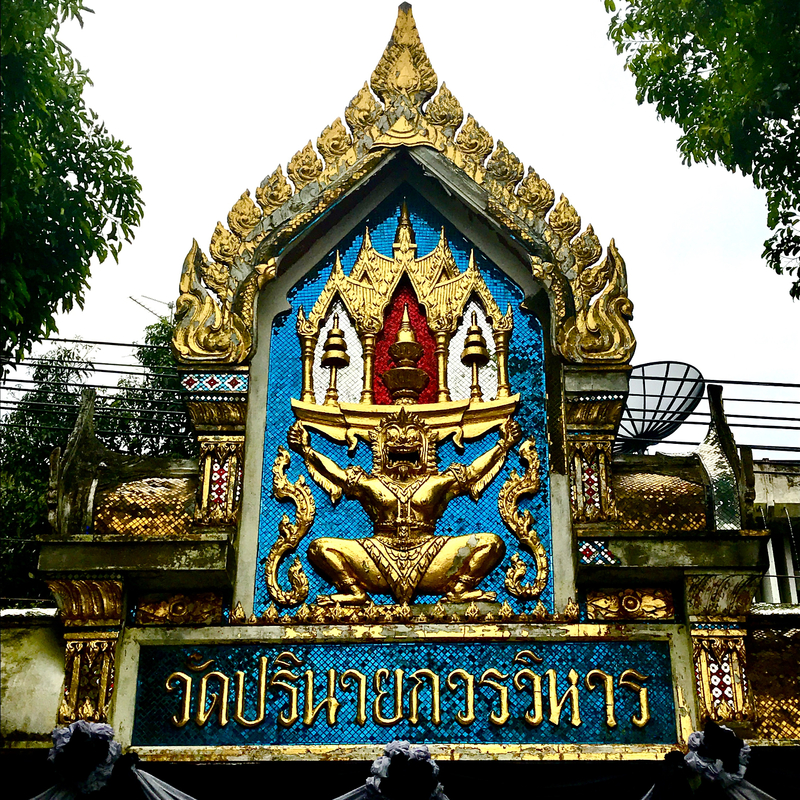 I was exhausted but too excited to go to bed, so I took a quick stroll around the Sukhumvit area. It was close to midnight by the time I left the confines of my hotel, and the streets were still packed! I quickly had the feeling that this city never sleeps. I made my way down to a street that looked like Mardi Gras. I’d “accidentally” stumbled into Bangkok’s bustling red light district. Oops. Soi Cowboy was like nothing I’d seen before: Vegas meets New Orleans meets Shinjuku meets Disneyland…on speed. I didn’t know what the heck was going on! I finally skated through and found myself at a little restaurant where I had some tea and cookies like the good boy that I am, and then found my way back my hotel. But jeeze, lots of tourists. Too many for my liking. 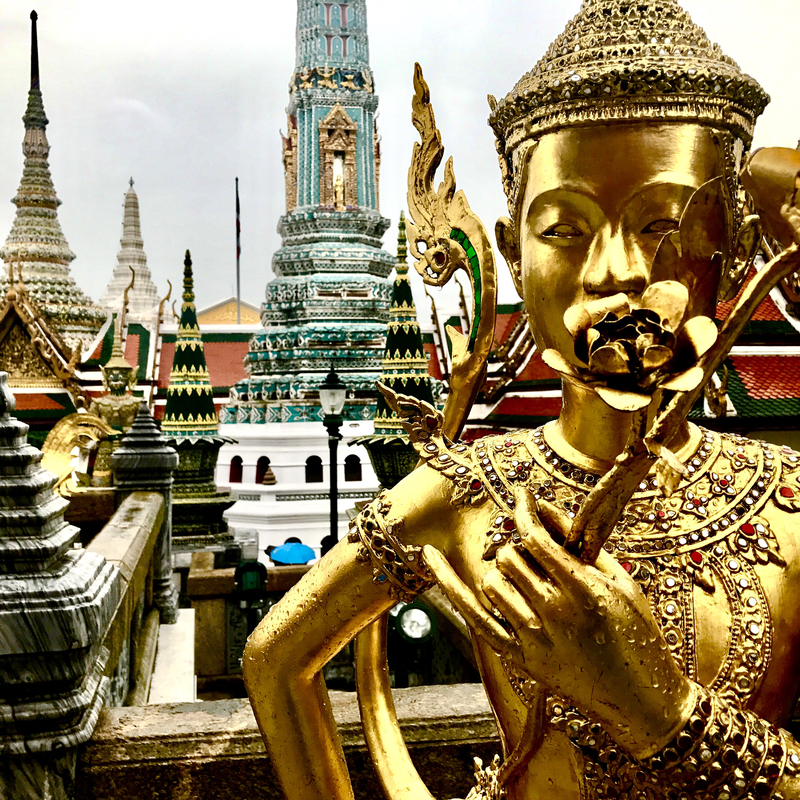 Thailand ranks number ten for most-visited countries in the world. But I knew that coming here, so I was prepared. 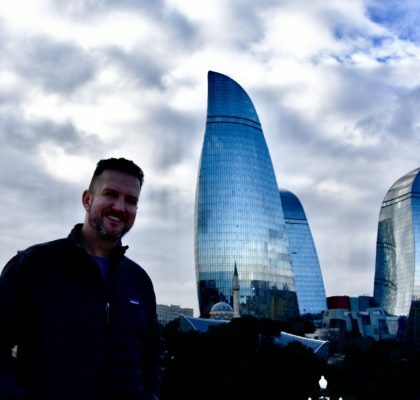 I awoke the next morning and hit the road after breakfast at the hotel. 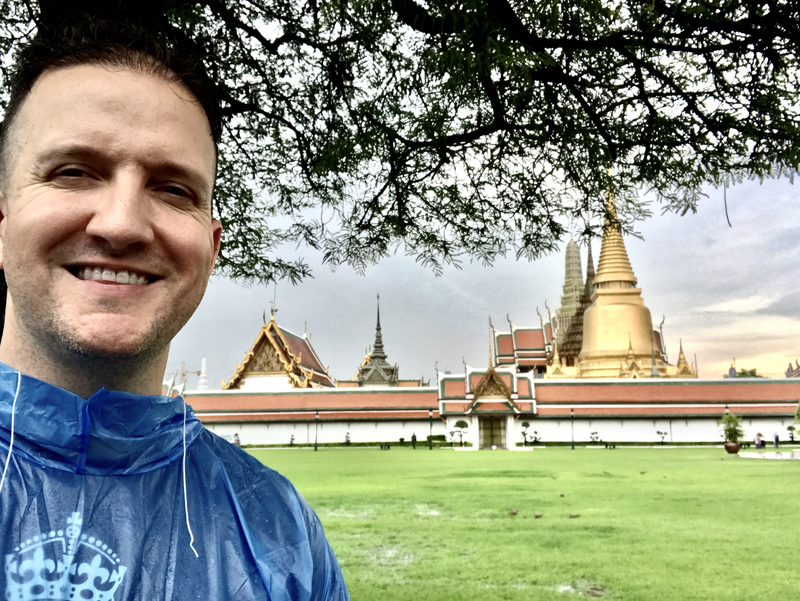 I only had one full day in Bangkok and wanted to do the most I could. 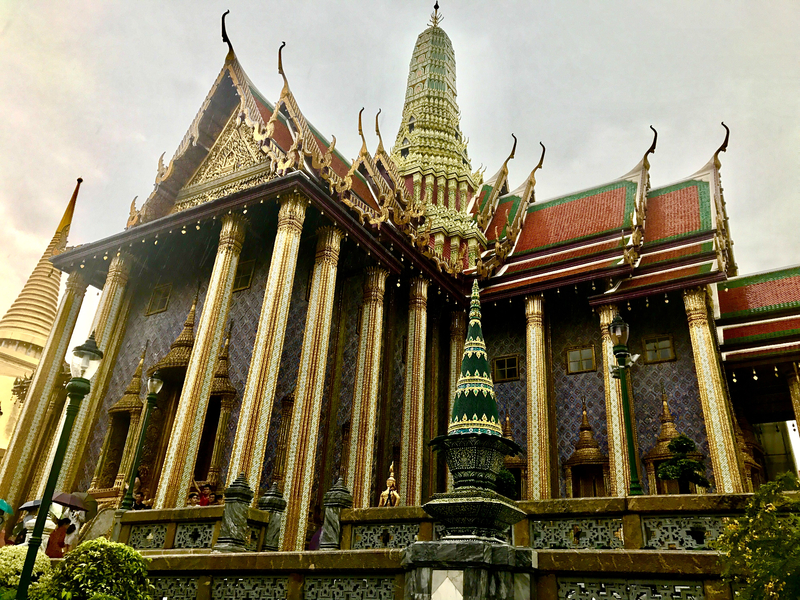 A visit to the Grand Palace is the typical tourist thing to do and looked like a great place for photos, so that would be stop number one. The subway station was only feet away from my hotel. 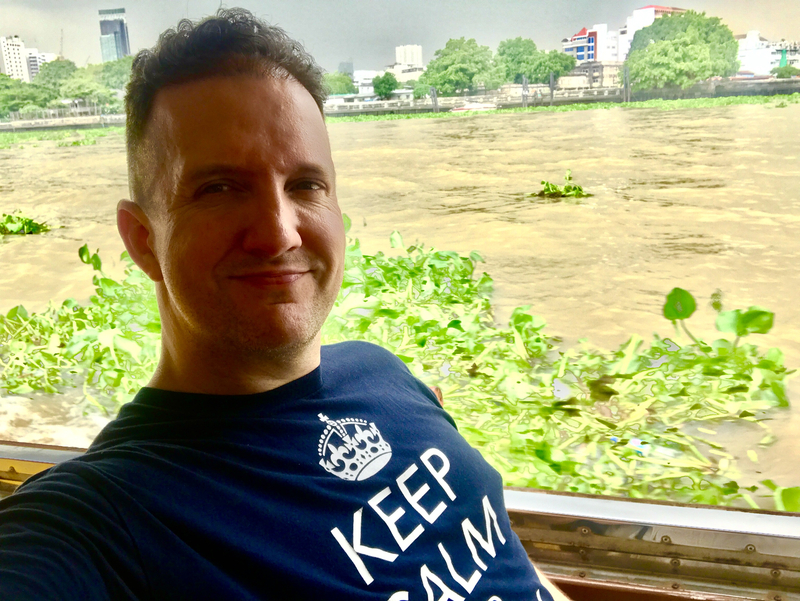 I bought an all-day pass for $4.50 and took the train down to the Sathorn Pier where I jumped on the Chao Phraya Express tourist boat. This was a hop-on hop-off boat that made various stops along the Chao Phraya River, including at markets, malls and temples. 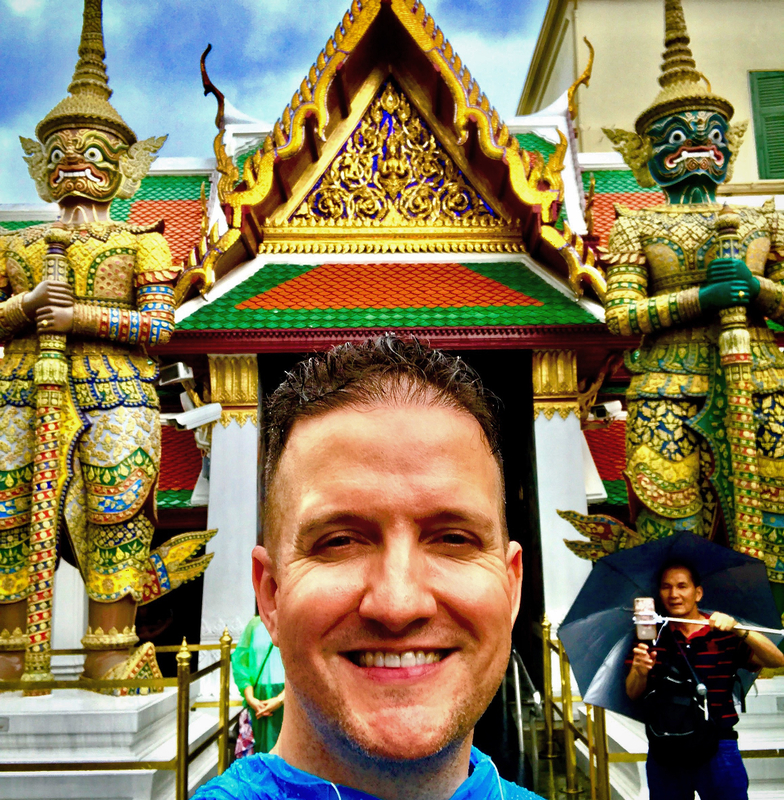 I exited a few stops upriver at Maharaj Pier where I walked for about ten minutes to reach The Grand Palace. Cruisin’ on the Chao Phraya Express. I was sent away when I reached the entrance to the palace for wearing shorts. I knew you needed pants to actually enter the temple, but I was unaware that one couldn’t even get inside the grounds without long pants. Rookie mistake, but there were pants for sale down the block for five bucks. They were funky, hippy-looking, cotton pants with elephants on them, but do I look like I give a care?! It all made sense as to why I saw so many other people wearing them—I was probably one of thousands turned away at the palace for wearing shorts. 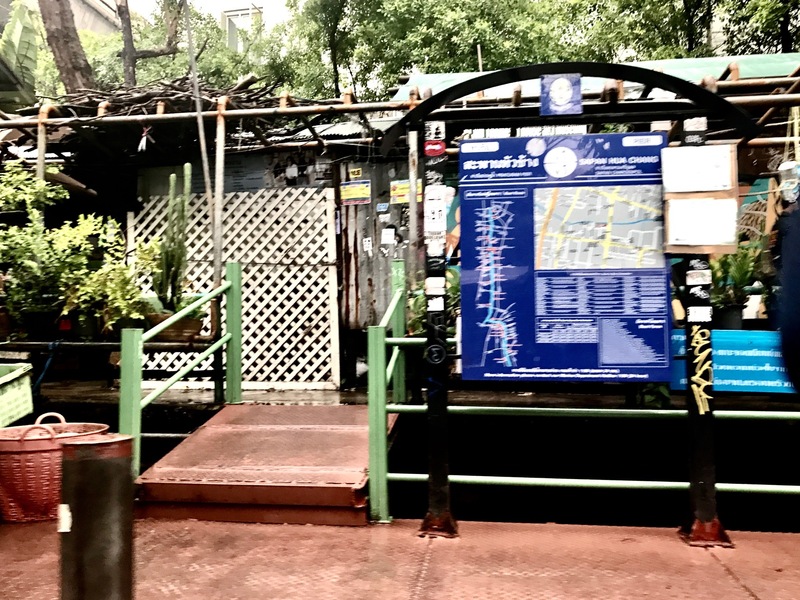 Actually, the timing worked out perfect, because by the time I was at the little hole-in-wall store buying my funky elephant pants, it started pouring—an absolute gushing downpour. 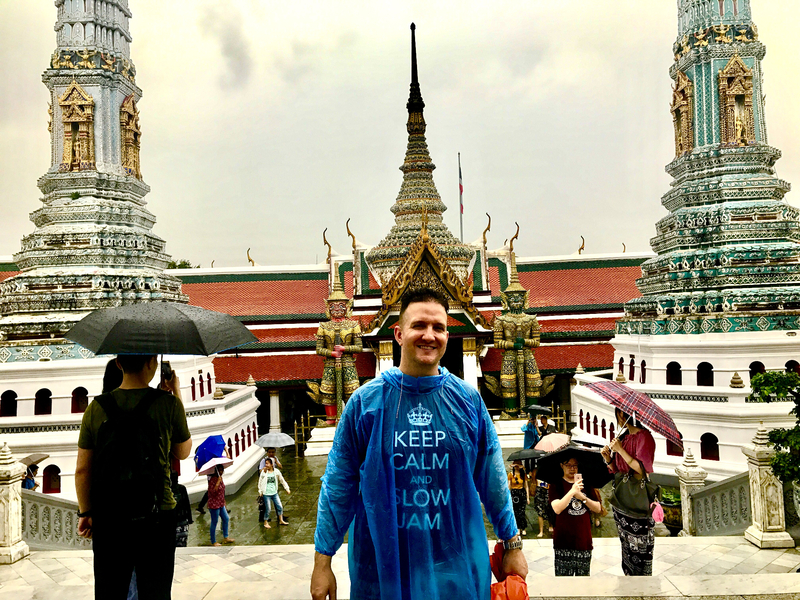 I spent about ten more bucks on a disposable poncho and an umbrella, and I was ready to go! Showing off my new umbrella and poncho. It was back over to the palace, where this time I was waved in and the adventure began. The first hour the rain was just too heavy to be outside at all, so I chilled inside a little market with other tourists. I watched the old lady behind the counter become irritated by the dozens of people using her shop for shelter from the rain, not buying anything. She yelled at a couple of guys who were changing clothes: “Dis no changing room!” I couldn’t help but chuckle. I’d bought a water from the store, so I was cool. When the rain let up a little, I finally ventured out to explore the grounds, although I was now walking in three inches of water. My shoes and socks were soaked. 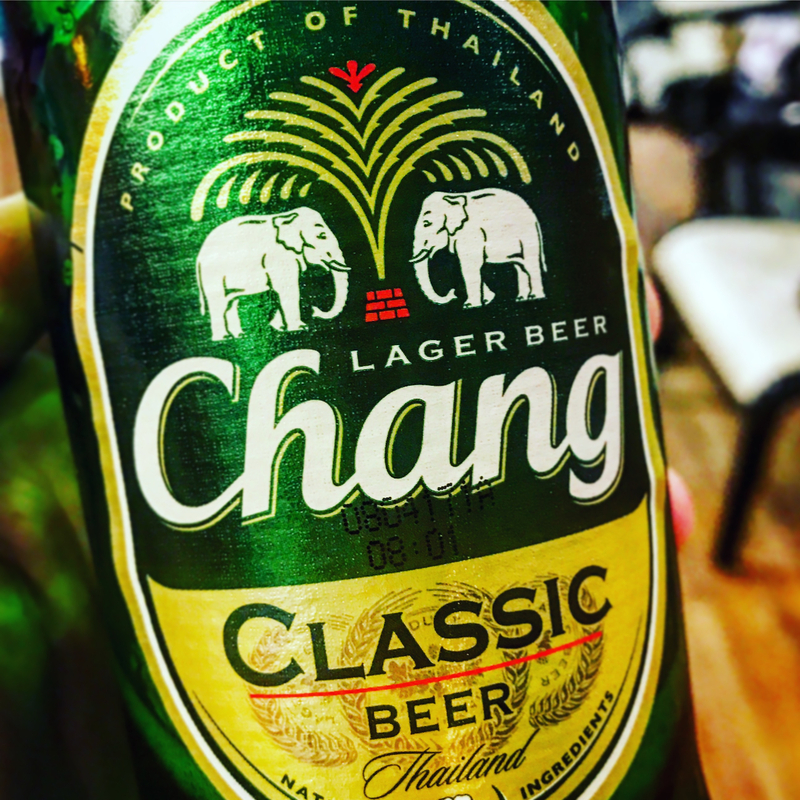 There was no turning back, it was my only day in Bangkok and I wasn’t going to miss this. 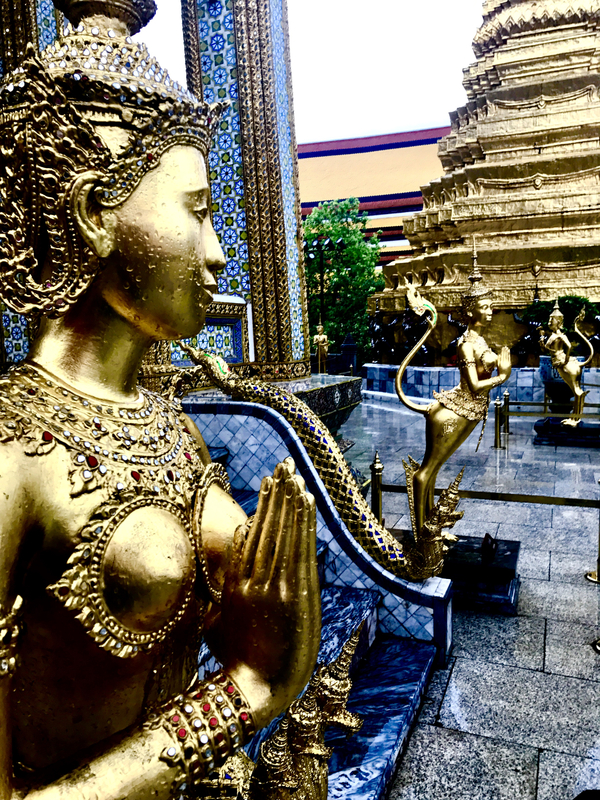 The temple and its surrounding buildings and statues were surreal; like something you’d see at Disneyland, but authentic. Absolutely stunning. I roamed around for about an hour, not exactly sure what all I was looking at, but it sure was breathtaking. Even in the rain, this place was breathtaking. After the temple visit, I walked south about half a mile to see another historic site. 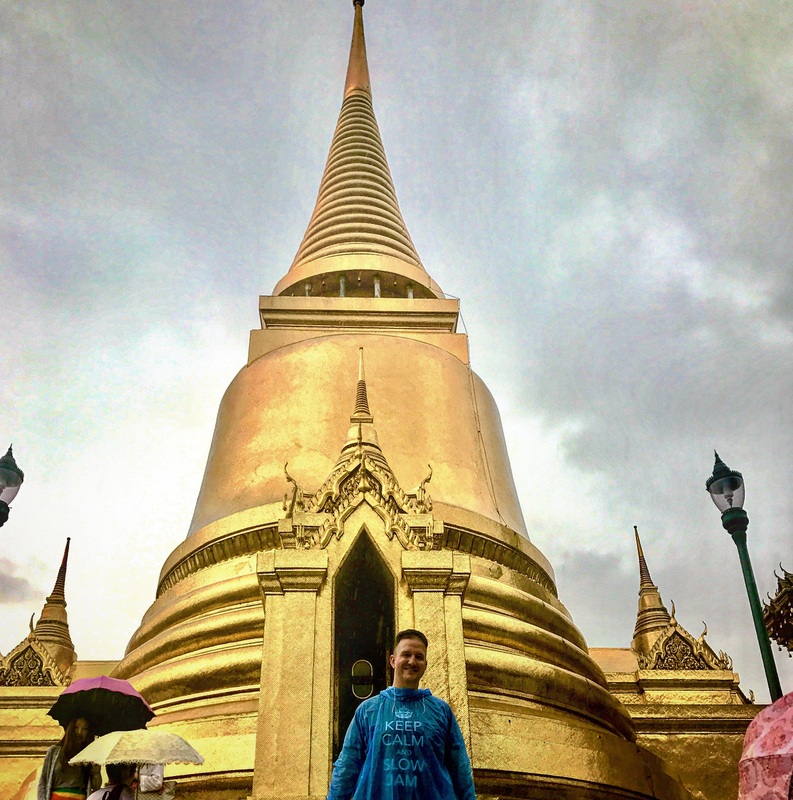 A tuktuk driver approached me and sold me a ride to see a giant Buddha and some other sites. At less than two bucks for the lift, I couldn’t say no. 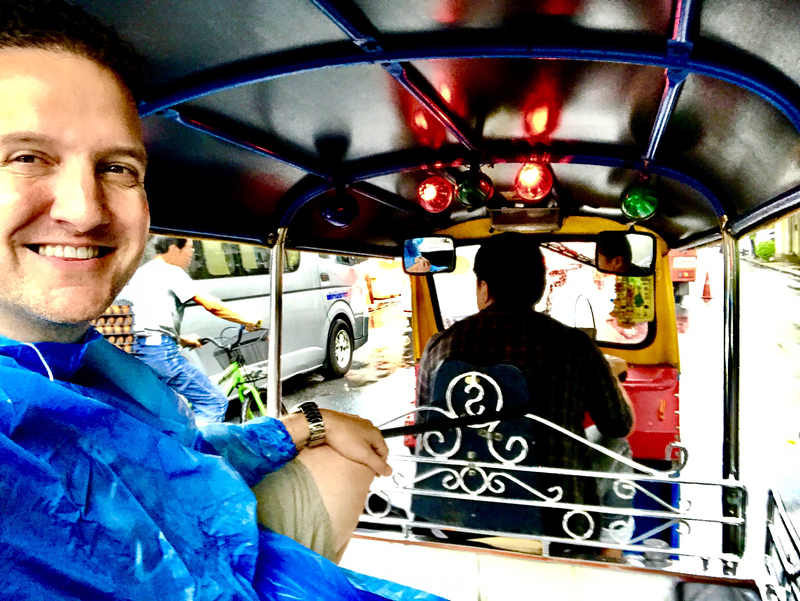 I wanted to get off my feet for a while, and I hadn’t yet rode in a tuktuk yet—this seemed like the perfect time. I hung on for dear life as this little scooter sped around corners and through busy intersections. There were no seatbelts and I tried not to imagine what would happen if we were t-boned by a truck. Not gonna lie, it was fun! I loved this sign, which was over the entrance to the Buddha. We stopped by to see the Buddha, where I met a nice man who taught me how to ask the Buddha for good luck. He seemed so happy to meet me, and told me I had come on a good day, because this special suit factory that’s not open to the public was actually open today, and today only! He explained the factory only opens to the public once every four years and how lucky I was that I was in town today! He told me to make sure my driver showed me the factory. Man, it was my lucky day! Rollin’ in my tuktuk…with my mind on my money and my money on my mind. 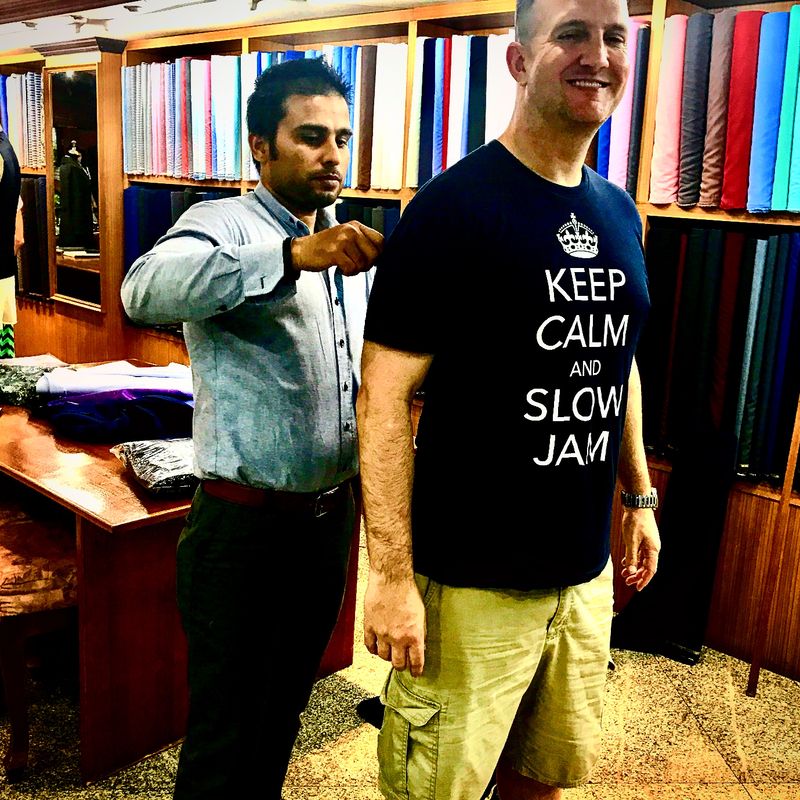 It was back to the tuktuk, and over to the suit place, where I was greeted by a salesman who wanted to sell me three custom made cashmere suits for a grand. Custom made, wow! That’s a steal! I didn’t need three, but I did order one. He was a great salesman, plus I’d gained a few pounds over the last couple years and my current suits weren’t fitting right. I figured now was the perfect time for a new one. Pants, jacket, vest, three shirts and ties came out to be $557. Everything besides the ties were custom made. I got to pick all the fabrics, including the linings of the jacket! They’d begin working on the suit and would deliver it to my hotel by nine that night. 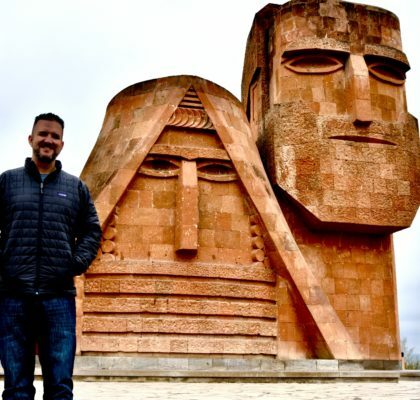 It was very cool, and I felt pretty good about my purchase, until returning to the hotel and Googling the place, to discover that it was just an elaborate scam. I’d get the suit alright, but the whole setup was staged: from the tuktuk driver, to the man at the Buddha who was a skillfully placed actor. And of course this store was indeed open to the public every day of the year. This was no “lucky day,” as I’d been led to believe. Oh well. The suit was delivered to my hotel that night. I haven’t tried it on yet, hopefully it fits! I’d had enough for the day. I was tired, I’d spent too much money, and my shoes and soaks were sopping wet…yuck! I don’t like feeling dirty. It was time to head back to the hotel. There was so much else to see—like the electronics market, flower market, more temples. I was such a lightweight. Finding my way back to the hotel was half the fun though! The tuktuk driver dropped me off at a boat stop on a canal. I don’t think it’s actually called a “boat stop,” but that’s my name for it; it’s like a bus stop, but on water. The fare was 30 cents and I wasn’t sure I was even going in the right direction, but soon I was at ease as my GPS confirmed I was. This boat was headed almost straight to my hotel. Just like a public bus, it would pull to the side to let people in and out, as it cruised the gray waters of Bangkok. It was a much smaller craft than the giant tourist boat I was on earlier that day. I really enjoyed the ride with the locals, and fifteen minutes later I was at my stop. 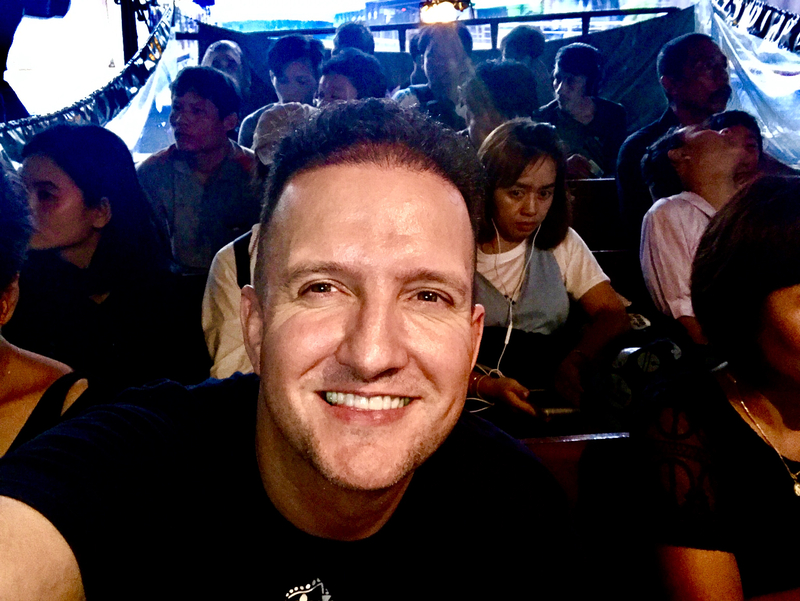 Now that I’d kind of figured out the gist of Bangkok’s public transportation system, I was really starting to love this city! On the canal boat with the locals. Walking back to my hotel proved to be somewhat of a challenge, as the tiny street I was on was completely flooded, with at least four inches of standing water. Yuck! 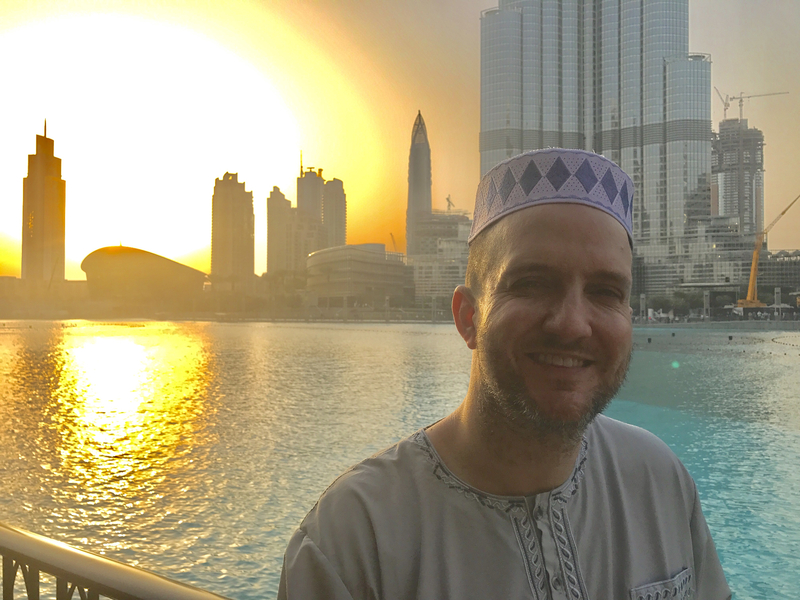 Just before I was forced to plop my feet down in the water to cross the street, an expertly timed tuktuk pulled up, which I quickly hailed to run me back to the hotel. I don’t think I’ve ever enjoyed a hot shower so much. Wet socks are not my thing. I feel like a chump that I didn’t get to explore more of the city during my only full day there. Being wet just really set me back. This is why I wouldn’t survive fifteen minutes on Naked and Afraid. 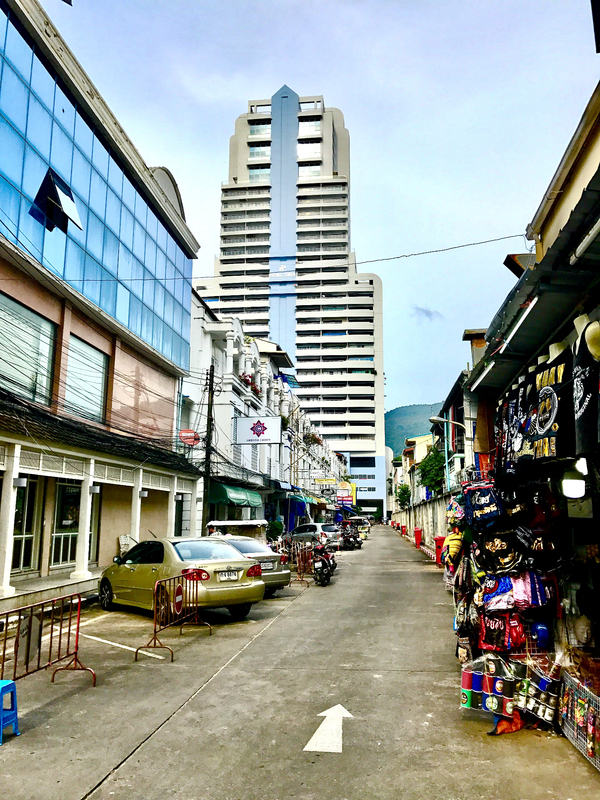 But I really did enjoy Bangkok, and it’s one of the places I’d like to come back to spend two weeks, and I rarely say that about many places. I enjoyed all the luxuries of the Sheraton Grande that night and the next morning. I must comment on the hospitality of Thailand—especially in the hotel—it’s like nothing I’d ever experienced. They were super polite and respectful in Japan and China, but it was next level here in Thailand. My favorite example: the people here say thank you by putting their hands together and bowing their head. I love it! Super awesome…I may start doing that in regular life; I think it’s a really humble, genuine way to express your appreciation. I’m not gonna lie, I wasn’t ready for Phuket. 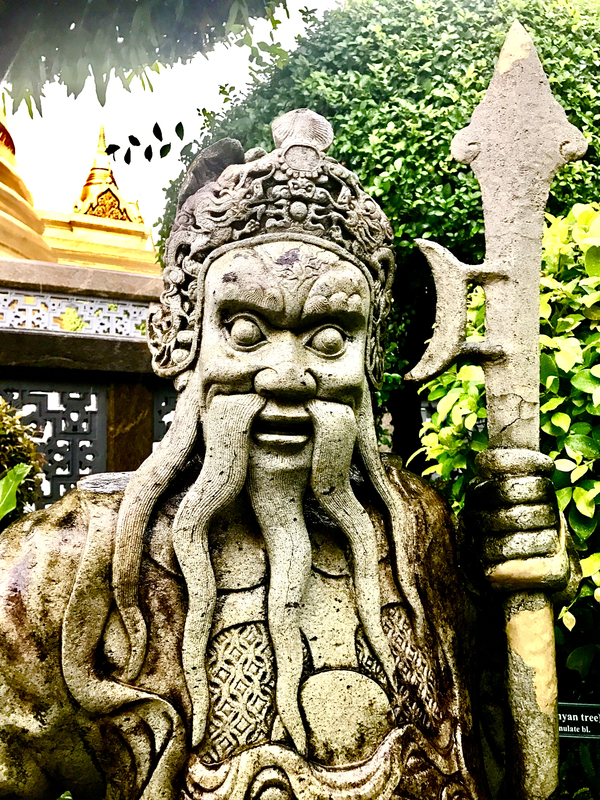 As I write this from the Phuket airport, on the way out of Thailand, my head hurts just trying to grasp the last three days. In fact, I’m not even sure I could write a clear, concise report. Nothing about Phuket was clear or concise. 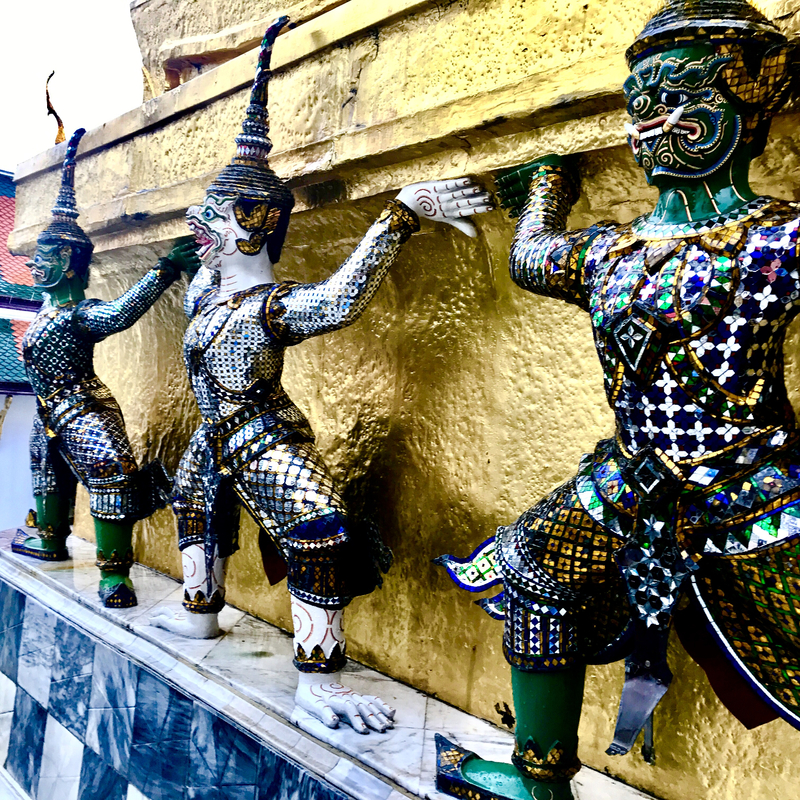 My best bet, instead of detailing the trip to Phuket in chronological order, will be to offer a smattering or notes and observations about Phuket. 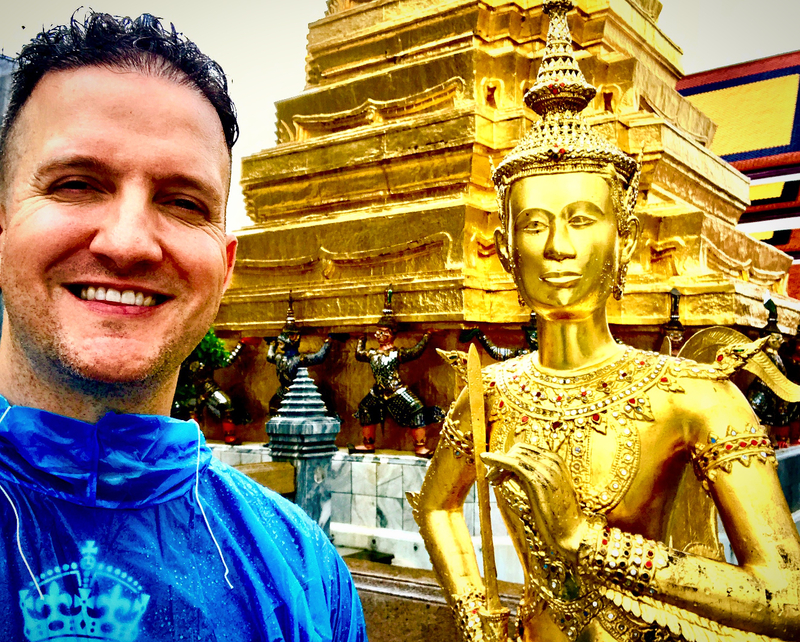 I’m sure an experience in Phuket would be different for everyone—whether you’re going solo like me, with a group of girls, a rambunctious tribe of young men, or as a family. 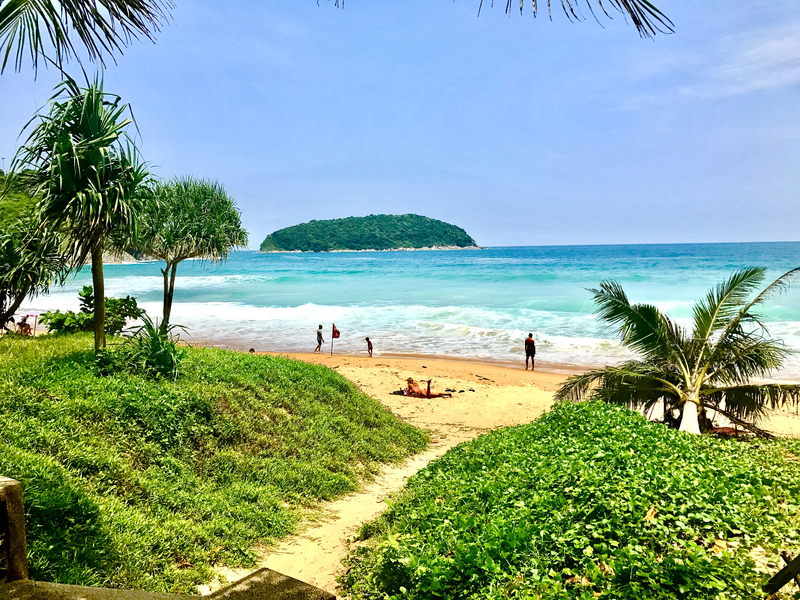 Here’s what I took away from Phuket. The first day I wanted to leave, I literally got to my room and started searching for flights out the next day. I didn’t like Phuket. One day number two I started getting used to Phuket. Was I digging this place? On day number three I was considering moving to Phuket. I love this place. 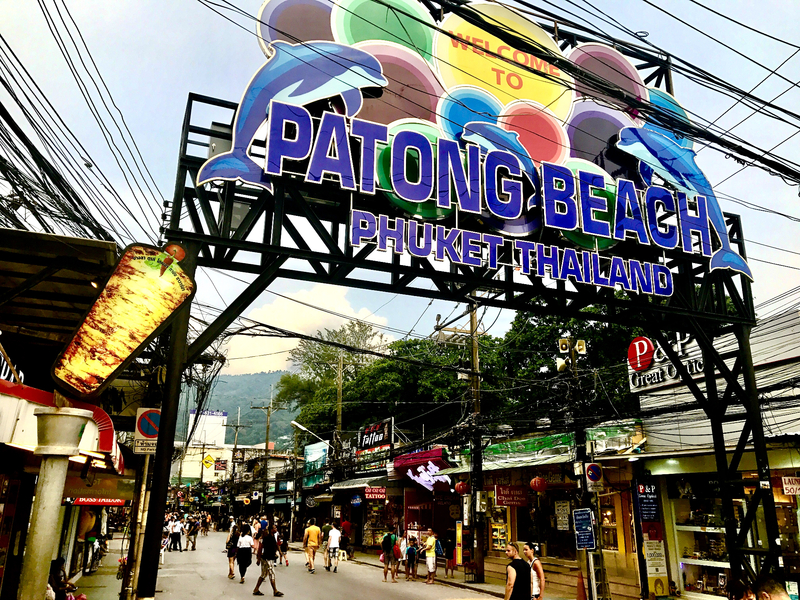 I rented an airbnb in Patong Beach. This place was party central. I’m not a huge partier…in fact, I detest crowds, noise, loud music, commotion. Yeah, I’m pretty much your grandpa. The view from apartment 1002. I ate McDonald’s the first two days. I started off in a crappy mood and wasn’t feeling the local fare. I know, very lame. I’ve never seen so many massage parlors in my life. There must have been hundreds, sometimes three or four right next to each other. The ladies stand outside and literally grab you as they say “Mah-saaaaaaaaaage??? ?” I seriously don’t know how all these stores stay in business, there are just so, so many. By the next day, I understood how these stores stay in business, for I had gotten four or five massages within 48 hours. They were too cheap to pass up; they started at six bucks. And they were good. I got a foot massage for the very first time and it was heaven. There are a ton of tourists in Phuket: a lot of Australians, Brits, plenty of Americans, and lots of Chinese. Bangla Walking Road is the main strip and it’s straight up madness after 10PM. Dozens are party bars, some really big—multi-level with escalators, girls dancing on tables, live music, etc. It was pandemonium in the streets, with employees from each bar trying their best to drag you in. And this was the low season! I couldn’t imagine this place in high season. 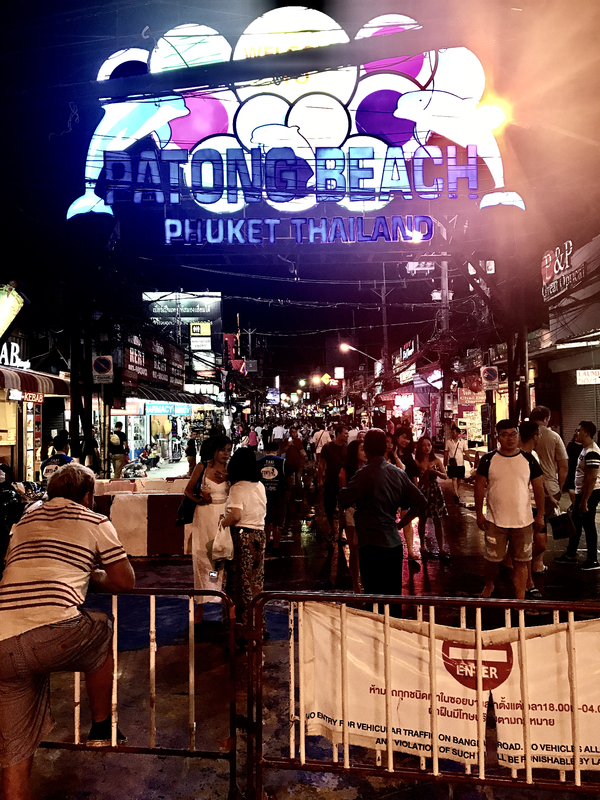 Bangla Road packed after dark…and this is low season! 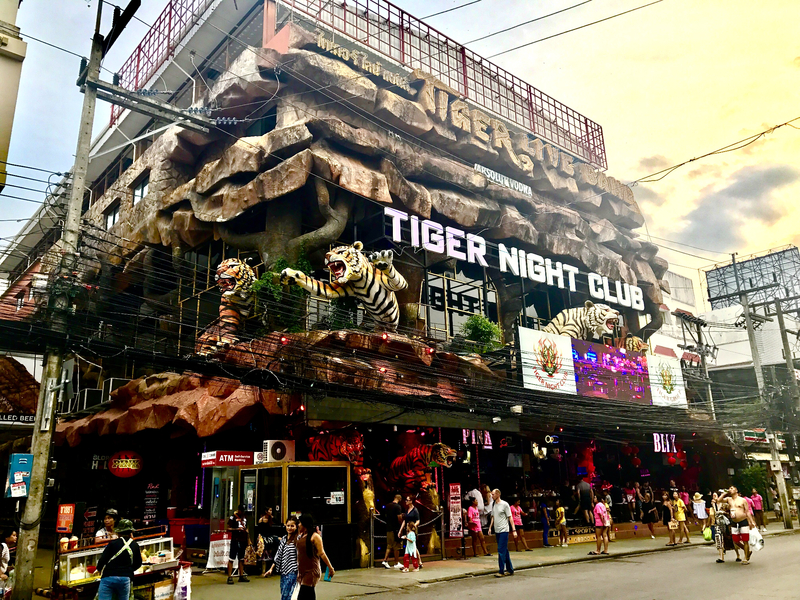 One of the many giant clubs on Bangla Road. 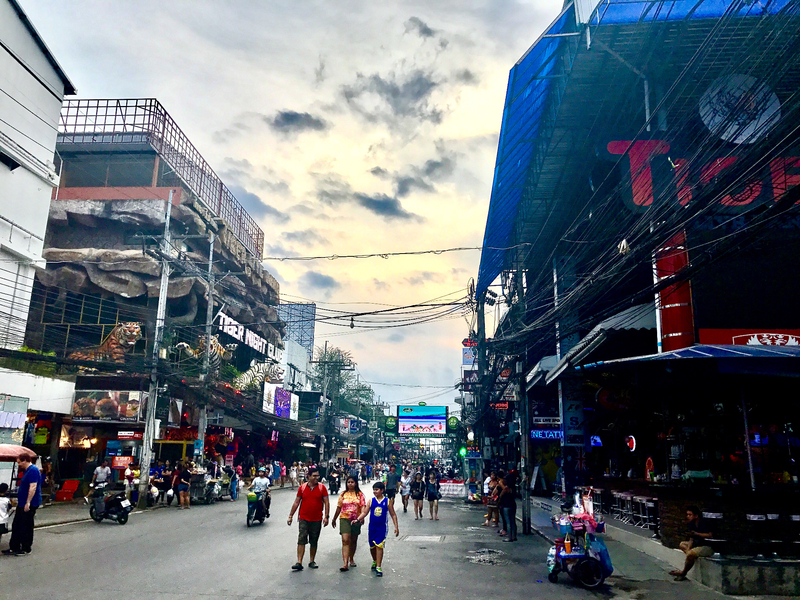 Bangla Road, daytime, low season. I mentioned earlier that I’d come in the rainy season. It rained a lot, but usually not for too long; just sudden heavy downpours that would flood the streets but only last 30 minutes or so. On day number two there was enough sun to visit the beach. 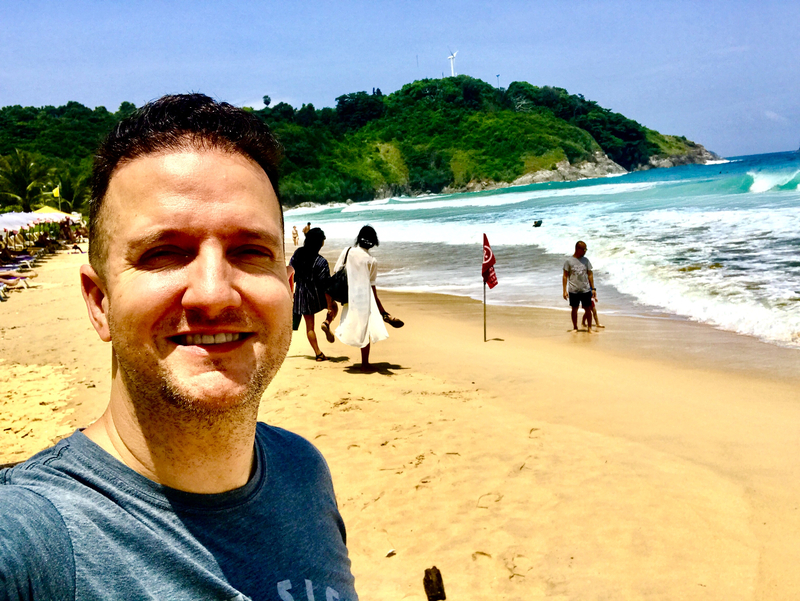 I headed to a beach called Nai Harn, which was supposed to be one of Phuket’s best. It was very pretty, but the water was a little rough. Had I come in the dry season, with a few more days, the thing to do would’ve been to hire a boat to cruise over to some of the amazing islands nearby: like Ko Phi Phi, where they filmed The Beach with Leo DiCaprio. 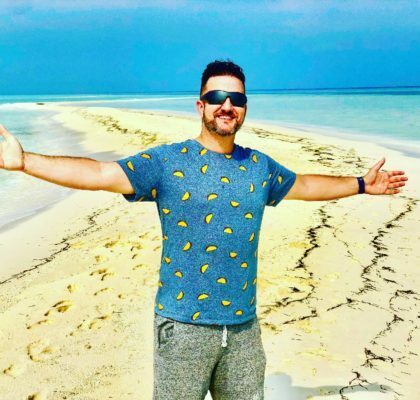 I was simply doing Phuket wrong, and I knew it. Pictures of the king everywhere. And the king. Pictures of the king everywhere! Great view on the way to Nai Harn Beach. The beautiful Nai Harn Beach. Panorama shot of Nai Harn. I should’ve also come with a friend/girlfriend/homie/etc. I love traveling alone, but Phuket is one place I would have rather done with a friend. Don’t get me wrong, I still a blast. One of the highlights of the trip was meeting the program director (and owner) of the island’s number one English-speaking radio station. 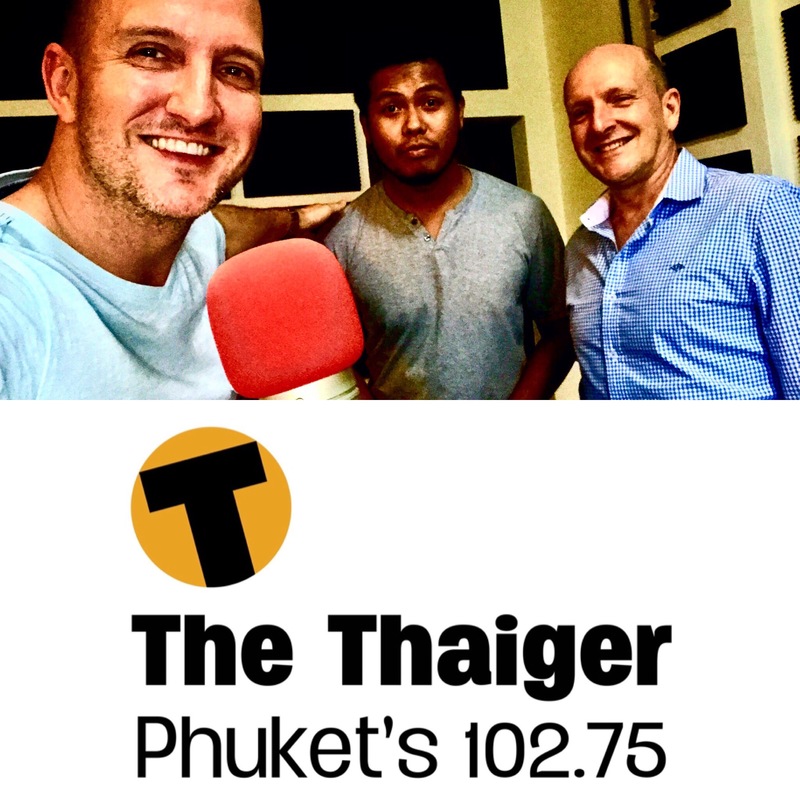 Tim Newton runs a station called The Thaiger (“The Thai-Ger,” get it…Tiger?) and was cool enough to meet me for lunch to talk radio. (If you don’t know, I work in radio; it’s my second love along with travel). Tim’s an Aussie with some amazing stories and quite famous on the island. I leaned more about Thailand sitting at lunch with Tim, than I did the months preparing for the trip. After lunch I got to tour his radio station, and the best news of all: he’s picking up my show. My Sunday Night Slow Jams will now be heard every week in Phuket, Thailand! How awesome! 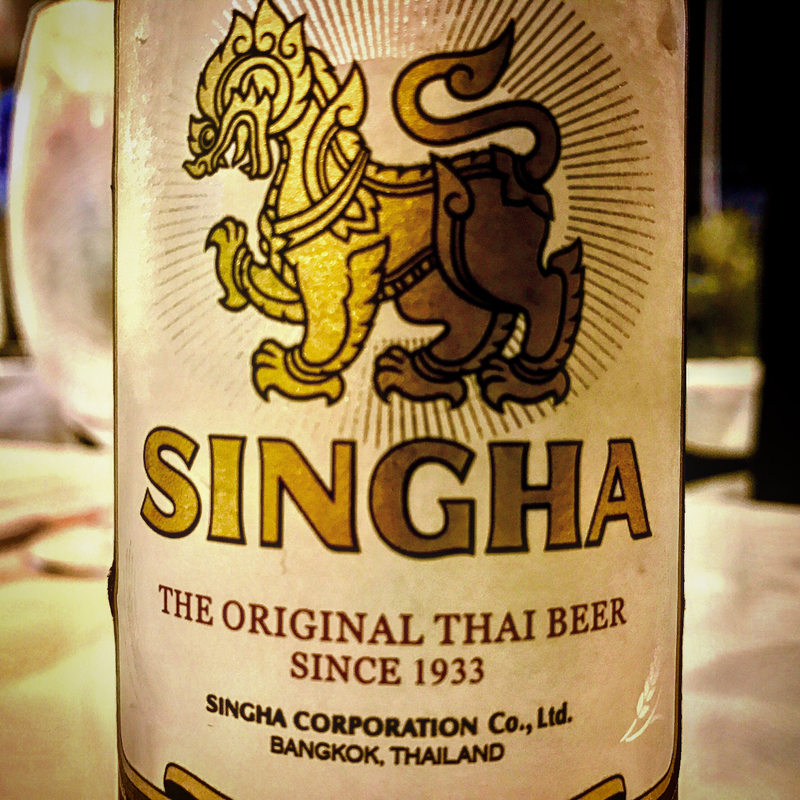 Sunday Night Slow Jams can now be heard on The Thaiger! Tim insisted I go see the big lady boy show in town, called The Simon Cabaret, so I did. And I was really impressed. I pictured a drag show where a few “ladies” would sing bad Cher covers in a hole-in-the-wall bar, but Simon Cabaret rivaled any Vegas show. It was quite the production, in a big fancy auditorium filled with Chinese tourists going nuts; quite the scene, both on stage and in the audience. By day two I was loving life. 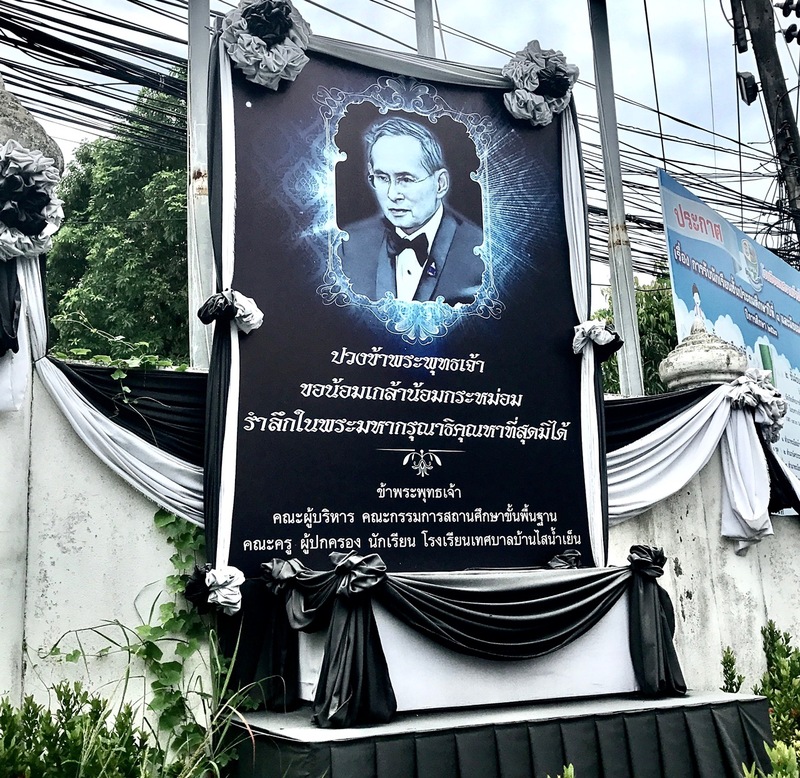 Massages multiple times a day, I’d locked in a radio station and would now be on the air in Phuket, the weather was clearing up, I’d got my bearings and knew the lay of the land, and had been enjoying good sleep and multiple cat naps. The airbnb I was staying in was on the tenth floor of Patong Tower and featured a balcony with a hot tub overlooking the beach. Life was good! 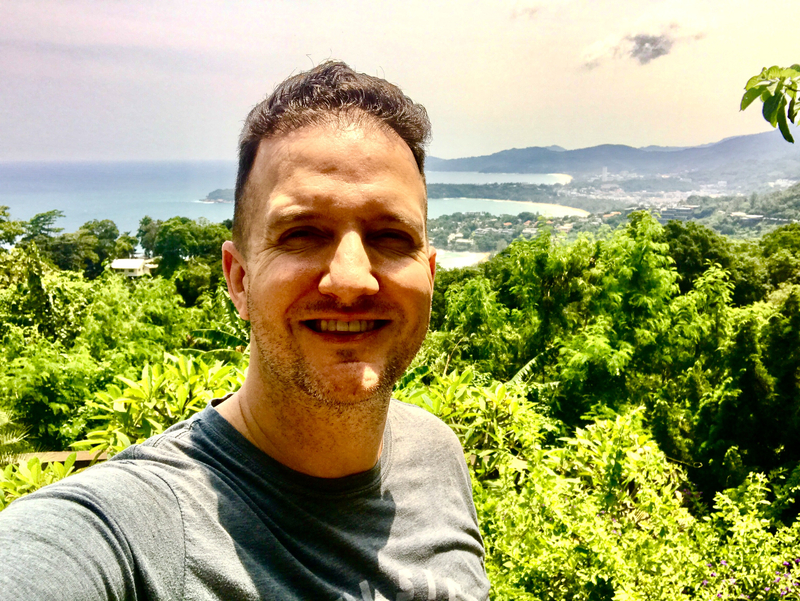 Besides Tim, I didn’t really meet many people in Phuket—most people were already in groups: couples, families, “crews” of bros. Besides meeting with the radio station, I pretty much kept to myself. On the last night I did play pool with local girl at the snooker hall. She killed me at billiards. Absolutely destroyed me. It was embarrassing, but fun. So yeah, that’s my Phuket story. What a ride! Loved it in Thailand and cannot wait to go back!! Great place and lovely people!! Thanks so much for coming through! I loved this part: “Me in my 20s, in Thailand? ” It is exactly what i was saying to myself. Haha, right???!!! Thanks for coming by, I hope you’ll explore the rest of the website. So many awesome countries. Indonesia was fantastic!